Turkey’s top judicial body, the Supreme Council of Judges and Prosecutors (HSYK), has dismissed 203 more judges and prosecutors over alleged ties to the faith-based Gülen movement, which is accused by the government of masterminding a failed coup attempt on July 15. 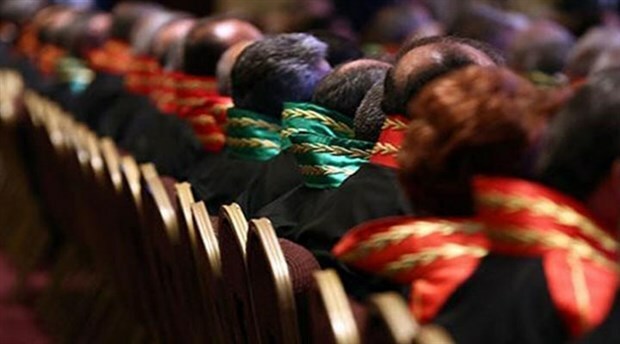 The decision for the expulsion of the 203 judges and prosecutors was made at the HSYK general assembly on Tuesday, and the list of the expelled judges and prosecutors was published in the Official Gazette on Thursday. Turkey’s Justice Minister Bekir Bozdağ announced in a statement on Nov. 10 that the HSYK had expelled 3,456 judges and prosecutors over Gülen links since the coup attempt.